This Chesapeake Bay destination is brimming with history, outdoor fun, vibrant culture — and passionate people eager to share it all with you. Just a short drive from Washington, D.C., discover the mid-Atlantic’s best kept travel secret. Cradled by the Potomac and Patuxent Rivers and the Chesapeake Bay, St. Mary’s is a peninsula with a 500-mile shoreline to explore. Here, you’ll find five water-based state parks, numerous water trails, abundant opportunities to fish, camp and hike—and of course, fabulous seafood to savor. 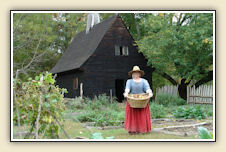 This fertile location destined the area for an eventful history.Tis is Maryland’s birthplace. The story of Maryland’s early beginnings unfolds at the area’s colonial sites while its maritime heritage comes to life at its four lighthouses and its waterside communities. The rural landscape holds its own pleasures of afternoon drives, scenic cycling, and farm and winery rambles. Thanks to the presence of the Patuxent River Naval Air Station–the U.S. Navy’s premiere site for military aviation testing–today’s St. Mary’s has a young population with a high-tech ethos and a drive to live healthy, eat well and play hard. Restaurants with an eye for what’s fresh and local, historic towns with a trendy edge, fun weekend events and even some topflight motor sports venues keep things interesting. You’ll find hundreds of great places to visit and as many warm and engaging people to meet when you do. And, because St. Mary’s is so close, it’s also affordable. St. Mary’s makes a great daytrip or weekend getaway without breaking the bank. Real places. Real people. Real close! Check-out www.VisitStMarysMd.com to learn more.